33-year-old Jafar Aqazadeh and his wife Zeinab Roshani have conducted research work at their own expense in a bid to meet their fellow countrymen’s needs amid the US sanctions. They are working on a number of technologies and research projects at the moment. Jafar says the reason behind their success in developing new products is that they take people’s needs into account and work to meet their needs. “We work on the priorities of people’s needs,” he told Fars News Agency. “At the moment, we are conducting studies to produce good products in the field of treating special diseases such as multiple sclerosis (MS) and Parkinson’s disease,” he added. 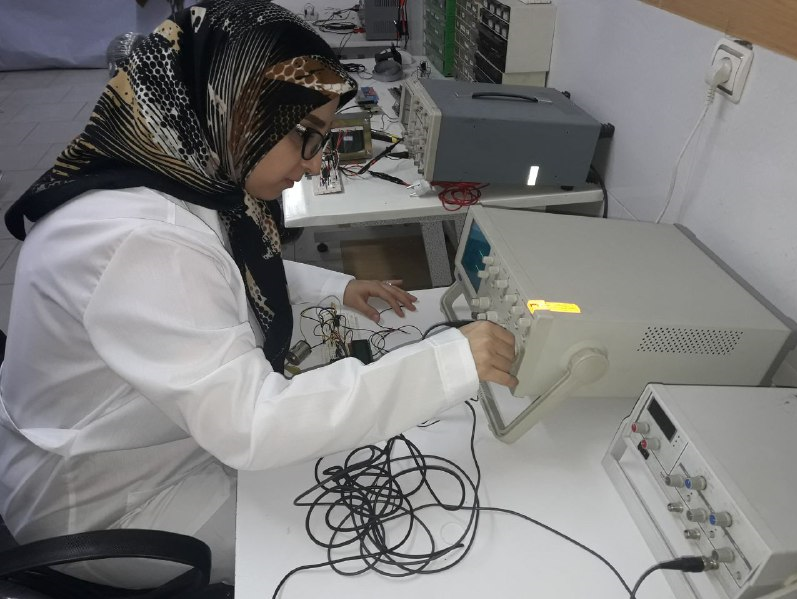 “We began our activities in 2008 in the form of a technology firm at a sci-tech park in East Azarbaijan province by producing several innovative products needed in the country in the domain of rehabilitation,” he said. “We developed a product for that place. Then we began producing a sample physiotherapy and rehabilitation apparatus used to keep damaged knee and pelvis joints in constant motion, and we were able to offer the product on the market,” he said. “Then we presented several knowledge-based products developed for shoulder and elbow joints,” said the researcher. “We also presented an electronic wheelchair which works by controlling signals from the brain and the eye. We used a combination of the two to identify the directions of the wheelchair,” he said. The wheelchair can be used for people with severed spinal cords but healthy brains, so that the brain can process and analyze the data, says the researcher. “This wheelchair is connected to the user’s head via a wireless headset which is a trade module, and the received data is sent to the wheelchair via Bluetooth,” said the researcher. He said no wires are used in the wheelchair because wires impede the wheelchair’s movement and the patient cannot move. “We used a wireless headset which has a receiver that is installed in front of the eyes and controls eye movements and, this way, identifies the main directions. The headset detects the disabled person’s needs, analyzes them and meets them through a robotic structure installed on the wheelchair,” he says. 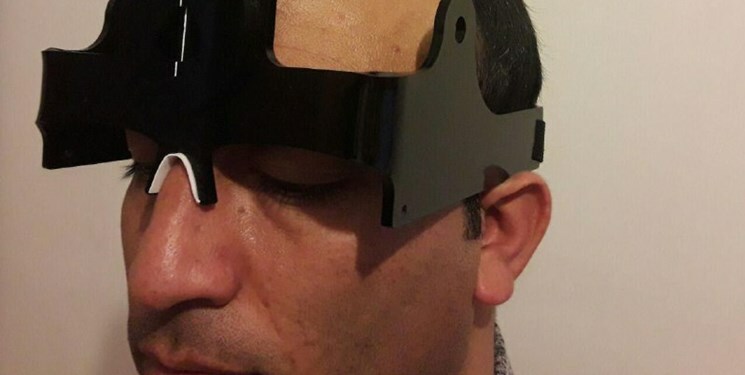 According to the researcher, another apparatus has also been developed to detect neck deviation by analyzing the degree of the deviation. “It is an electro-goniometer whose samples we have already developed, and now we are in the designing stage,” says the researcher. The measurement of the degree of the deviation of the neck used to be conducted manually, and there was no digital method to analyze it, he says. “But this apparatus makes it possible to detect the degree of the deviation and administer the necessary treatment accordingly,” he said. “Our next product is related to photography and phototherapy. It is used to make the skin young,” said the researcher. 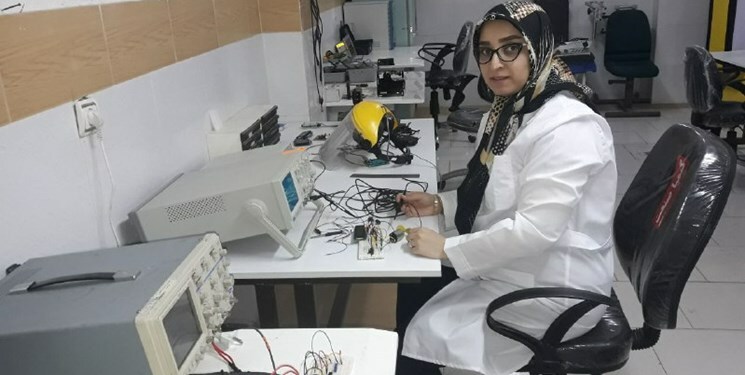 “In cooperation with our research team at Tabriz University of Medical Sciences, we are developing samples in this project and receiving the required permits. This product has been warmly welcomed. Its industrial sample is ready and will be offered on the market,” he said. Meanwhile, Zeinab Roshani touched upon the problems created by sanctions. “There are impediments. They usually buy foreign goods and do not allow Iranian projects, which are of better quality as well, to be sold,” she said. “But we have managed to sell the projects via collaboration with medical sciences centres,” she added. “They are having good cooperation with us. We have also conducted a needs analysis for some medical centres and hospitals. We make products depending on the orders we take. We have avoided sanctions through our own efforts,” said the researcher.